Gift giving can be a tricky task sometimes. Tastes differ and it is hard to find the perfect present expressing exactly what we want to say. However, useful and practical gifts never go out of style. For the special someone in your life who loves to travel, buying a gift that she can bring along on her journeys might be just the thing. However, the selection is huge, and it can be hard to choose the right one. To help in your search, here is a list of five perfect birthday gifts for every woman who loves to travel. A good travel bag can be invaluable when traveling. For those who prefer to travel light, you can choose a smaller travel bag, and for those who prefer to bring more, you can select a more spacious one. When looking for a good travel bag, it is necessary to pay attention to both its practicality and its appearance. For, even though they are on the road, most women do like to stay stylish. Traveling in summer when there is lots of sunshine and warmth is always an amazing experience. Nonetheless, the sun is sometimes too strong and the eyes need protection. So, why not buy a pair of amazing sunglasses for your girlfriend to aid her in her travels? They are both a practical and an always-welcome gift. When we travel, we make unforgettable memories. Sometimes, we want to relive those special times, so we try to capture them on film (or memory cards, nowadays). Travel photographs are the most precious mementos for many people, and most of us enjoy taking pictures on trips. 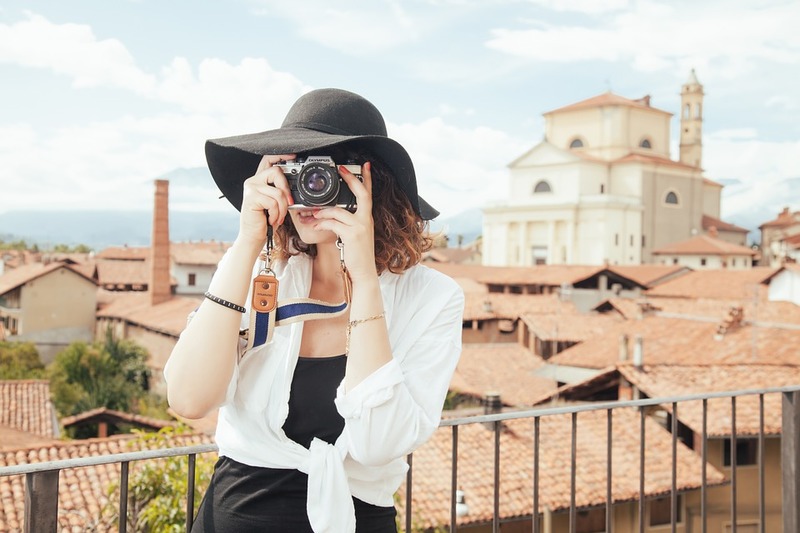 Because of that, giving a camera to a traveler may help them enrich their trips and create memories that will never fade. And, instant cameras are making a comeback. With them, instant and unique pictures can be created that will always be cherished. Travel enables us to get to know a whole new culture. The experiences and possibilities are numerous. Sometimes, it is impossible to remember every detail, and much is forgotten soon. In that case, a travel journal can be a girl’s best friend. Not only do they help us record our journey, they become valued mementos once we return home. Not only is travel exhilarating, but it can also be dangerous sometimes. We are surrounded by so much and we try to pay attention to so many things at once, so it is very easy to get injured. Investing in a small but practical first aid kit should be every traveler’s priority. These were just a few ideas for buying the perfect birthday gift for your significant other. Of course, nowadays we can find all sorts of creative birthday gifts when we browse online. By bringing the right things will us when we travel, we can make the trip even more comfortable, and of course more memorable. So, selecting exactly what to bring is very important. For this reason, when considering a gift for the special woman in your life, consider buying a practical and thoughtful present that will enrich her journeys. These are great! Will all make for great gifts. great ideas! Sunglasses, camera, travel bag and diary...these are all great choices. These are some great ideas! I definitely think for someone that travels alot, a new travel bag or good quality camera is great! I agree, sunglasses are a perfect gift for a traveling friend! Great pick! I love all these ideas Kim! Especially the travel journal, that sounds like a perfect gift for someone who loves travel! And a nice travel bag and camera too!